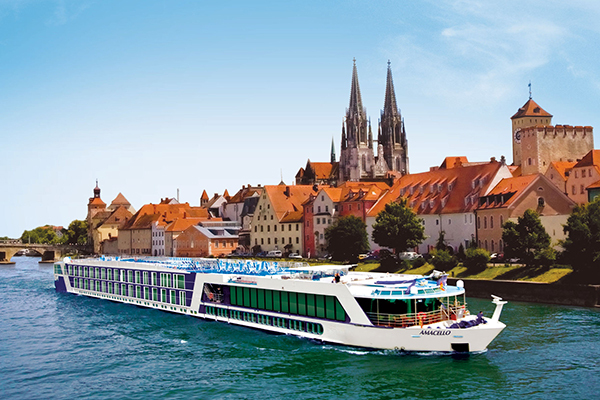 Launched in 2016, AmaViola is one of the newest river cruise ships produced by high-end river cruise line AmaWaterways. As it debuted, it also announced a partnership with Disney’s Adventures by Disney travel group, practically giving the ship an official seal of approval from Disney to be extremely family-friendly. Adventures by Disney will only operate some sailings on the ship during the summer months and Christmas season, but when Disney is not on board, the audience changes and the 165 cabins are filled mostly with adults. Those joining the Adventures by Disney cruises will find an array of programming fit for children ages 6 and up, including Disney-tailored excursions such as marzipan making and taking a mine train deep into the Alpine salt mines of Salzburg. When traveling on your own, the excursions do welcome families, but won’t be geared toward kids. Also, evening programming will not be available and kids will have to entertain themselves and are usually more seasoned travelers. 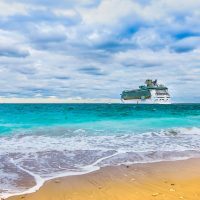 The ship is all-inclusive in that it covers accommodations, excursions, evening entertainment, Wi-Fi, meals and wine and cocktails during meal times. When joining Adventures by Disney, even more is included, including gratuities. Although the Adventures by Disney sailing is run by Disney Corporation, this is not a Disney cruise. You will not find Mickey Mouse or other characters at breakfast, Disney movies on the sun deck at night, or even Disney merchandise in the gift shop. Adventures by Disney prides itself on being an immersion program and encourages families to get off the ship and see the sights. They do offer supervised kids’ dinners and some programs in the evening to entertain young ones while parents have a date night. AmaViola is at its best for kids when families sail with the Adventures by Disney cruises. Smaller in that they offer roughly 79 cabins because the others are housed by official Disney Adventure Leaders, excursions have been tailored to immerse kids into the local culture with fun programming recommended for children ages 8 and up (although they do accept kids as young as 6.) Excursions include tours to castles and fortresses and through quaint towns and large cities with trusted Disney guides, who also lead Junior Adventurers on their own excursions when the tours may get to be too “boring” and more for mom and dad. 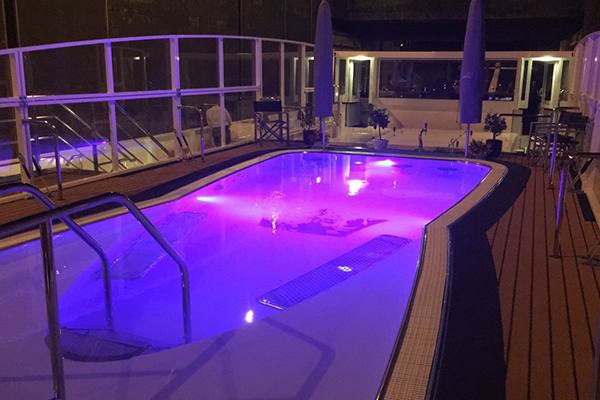 The ship features a pool on its sundeck, and while it is small, it is just what a child needs to cool off and get out some energy on a warm summer’s day. A giant chess board is also located on the sun deck, where guests can relax on various lounge chairs. Board games are available in the lounge. In-room movies are available, including recent releases and children’s movies. As the ship travels through Salzburg, “The Sound of Music” is a featured film. Bikes are available to borrow, although we found a kids-sized bike in Europe isn’t the same as in the U.S. — they are a bit bigger and finding a bike for a 4- to 6-year-old is difficult and requires an additional fee to rent, as the ship has to rent through a local agency. Twelve cabins on the AmaViola connect to provide families with more space together, along with another 12 cabins offering a fold-out chair to create a bed for a child. 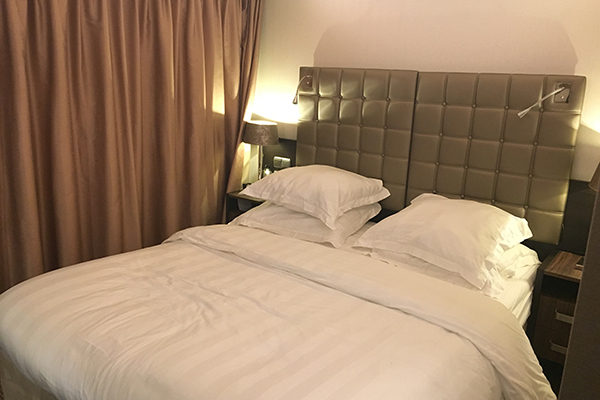 If you cannot secure one of these spaces, the accommodations get quite tight with just a double or two twin beds available. Suites provide a sitting area with two chairs before a French balcony, with some also featuring a balcony with two chairs. However, don’t splurge on the balcony rooms: this ship sails along the busy Danube and often secures to a sister or neighboring ship when in port. On too many occasions your view will be directly into the space of a neighbor, and you won’t have sunlight. It’s better to save pennies and enjoy the sundeck. Closet space is meant to be ample, but we found a lack of hangers and no drawers. One closet offers shelving for folded items, but is also limited. A large rollout drawer is beneath the bed, but when the room is set up with twin beds, there is no space to move roll it out. Bathroom space is also tight, with a cozy standup shower and a sink. Suites have some counter space, but lower deck rooms do not. Bathtubs are available in the four suites available. These suites also have dual sinks and a larger sitting area and come with free laundry service and are serviced by a butler. A small refrigerator is stocked daily with complimentary bottled water, and rooms feature Apple TVs that offer a host of movies, music, TV shows and games. Cabins are equipped with a safe and a hair dryer. Most outlets are European and require adapters, although one bedside outlet offers an American plug and two USB outlets for charging phones and tablets. As a new ship, the Wi-Fi works well from the cabins. Two restaurants are available aboard AmaViola, with the lounge used for light bites and snacks. The main restaurant features breakfast, lunch and dinner daily. Breakfast is mainly a buffet with a selection of pastries, fruits, cheese and a few cooked dishes. An omelet station is available, and a few items are made-to-order through the kitchen, such as eggs Benedict. Lunch offerings are both buffet and from the menu, with salads, soups and courses specialized to the country/city of port such as Weiner schnitzel in Vienna. A quick and lite offering is available in the lounge, with typically two choices and cheeses in which to nibble. At dinner, the menu is fully seated with a salad course, soup course, main dish (again based on the port) and dessert. Some staples are always available, such as a Cesar salad or a sirloin steak. A kids’ menu is also available on the Adventures by Disney sailings (adults are welcome to order from it, and kids are welcome to order from the adult menu, or everyone can mix and match from both). Afternoon tea and snacks are provided in the lounge, and late-night snacks are available after 10. Cookies and fruit are always available, as well as a coffee and tea station. The Chef’s Table, located with picturesque windows in the aft of the ship, is available to each passenger one night of the sailing. It’s a small space that seats just 24 and requires advanced reservations. Open only for dinner, guests are treated to a tasting menu with wine paired with each course. The chef prepares a number of courses, and dinner will run late. Room service is only available to the guests in the four suites or to anyone who may be ill and need to stay in their cabins. Wi-Fi is free and works well throughout the ship. Laundry service is available on the ship. It’s free for guests of the suites and a small fee for remaining passengers. A small fitness center includes treadmills, stationary bikes and a small area for floor exercises. During Adventures by Disney sailings, fitness classes are offered, such as boot camp and yoga. A hair salon is available for hair cuts, washes and blow outs. Massages are available in the ship’s treatment room.